During the era of suburbanization and white-flight to the suburbs, many churches chose to follow their more wealthy and white constituents out to the suburbs in the name of needing “more space” that the suburbs afforded. In many ways, this was what propelled the mega-church movement of the ’70s and ’80s. 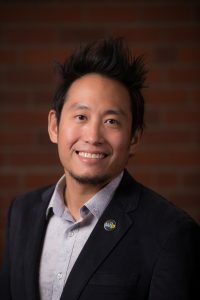 Dr. Chia will draw attention to how the urban church failed to work in the best interest of urban communities that needed it most during this time of transition. Cities are making a comeback in this era of gentrification and churches are once again “following the money” back into the city centers through urban church plants. While many of these churches are motivated by a desire to love the city and impact it for good, ironically, they are perceived as being part of the gentrifying process that is displacing minorities and transforming neighborhoods, marked by a reverse white-flight back to the city centers. Dr. Chia will argue that the current era of gentrification mirrors the earlier era of white-flight. In both eras, the urban church took the convenient option, casting itself as a fair-weather friend. He will discuss how organizations undermine or contradict their sincere intentions to collaborate with and for their urban environment.